and data analysis to support County departments and their customers. GIS provides is the ability to assist in the decision-making process by providing an additional tool to analyze and compare numerous geographic data layers along with traditional databases. Location - "Where is it?" Condition - "What is at…"
Trends - "What has changed since…"
Patterns - "What spatial patterns exist?" 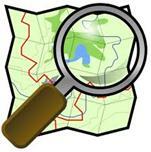 To answer these questions, the appropriate data must be entered into the GIS. 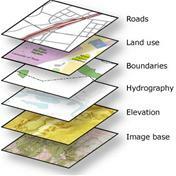 The data in a GIS is created in what are called GIS Layers. Each layer represents a group of common information. Some examples of GIS Layers that are used in the GIS of Plumas County include: parcels, roads, address points, the general plan, special districts, zoning, railroads, political boundaries, precinct data, and much more.